At last, some good news for Yahoo The beleaguered web giant has inked a deal to supply its Widget Engine technology to Samsung's new internet-connected HDTVs. The appeal of a widget, rather than a full-blown browser, is that a widget can deliver internet content in a format that's optimised for viewing on a TV. Widgets are also designed to be controlled using the TV's remote. So you don't have to sit on the sofa trying to balance a keyboard on your knees, while squinting to read a URL in a teeny-tiny font. Content choice is limited, but usability is vastly improved. So if you buy a compatible Samsung HDTV this year, you'll be able to call up a local weather forecast using data from Yahoo Weather or track stocks and shares via Yahoo Finance. 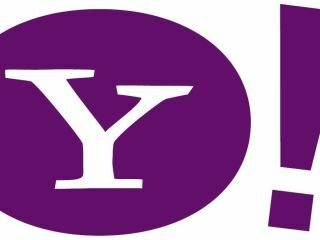 A Yahoo News feed will give the rolling news channels some competition, while a Flickr Widget will let you browse photos on a big screen. And if existing Widgets are anything to go by, they'll sit on top of whatever you're watching. Other popular internet services will also get 'widgetised'. The conversion of USA Today, YouTube and Showtime is already well under way. While a peek at the current Yahoo Widgets website suggests that RSS feeds, Internet TV guides and far too many clock applications will ultimately follow. Would-be Widget developers will have access to a Widget Development Kit, so there's the possibility of an iPhone-esque 'Widget Store' to look forward to. Usefully, the Internet@TV – Content Service isn't just another US-only affair. Samsung says that its new HDTVs featuring the Yahoo Widget Engine will be available in another 12 countries in 2009 including: Canada, Mexico, the United Kingdom, Germany, France, Italy, Spain, The Netherlands, Denmark, Norway, Sweden, and Finland. Internet-enabled TVs could well be one of the year's more interesting product categories, especially as more advanced devices – Digital Media Players, Media Center PCs and Apple TVs – have failed to break out of geekdom and into the mainstream. "Samsung has been a proven innovator in Internet-enabled TV technology for some time now," said Boo-Keun Yoon, Executive Vice President of the Visual Display Division at Samsung Electronics. "There's no denying that the easy-to-use, one-touch of the remote control service successfully provides information simply and effectively. The collaboration with Yahoo lets viewers go one step further. "This new interface allows them to interact and connect with many of their favourite Web services on a personal level. It's frankly way beyond just passively watching broadcasts and is no doubt the future of TV." Samsung's new HDTVs, equipped with the Internet@TV service will be on show at CES.